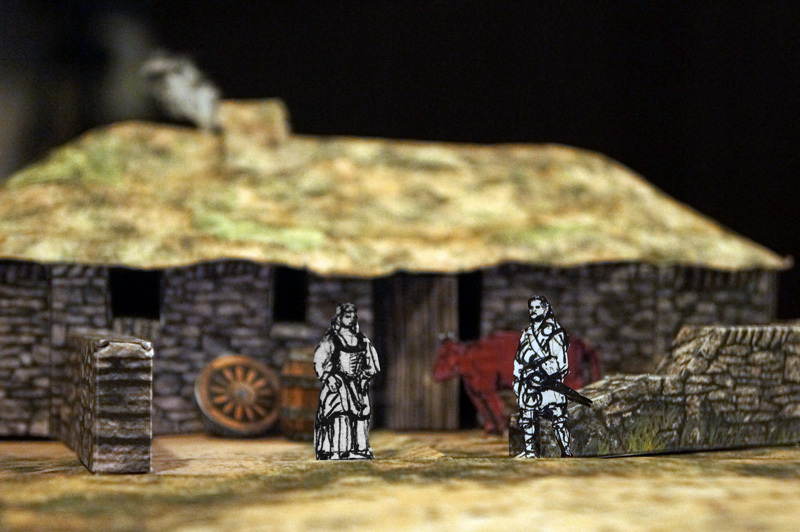 Scottish style blackhouse – using Meadow fences and Walls. Meet Robert Roy MacGregor and his wife Mary MacGregor (and his cow – Cow MacGregor :P) in front of their house in the Scottish highlands. The characters are of course just a 5min sketches to set the mood, as the subject of this post is the house itself. I love the look of the Scottish blackhouses. It’s like they were grown or pushed from under ground rather than build, and they blend into landscape as if they were always meant to be there. Walls and fences in the field. 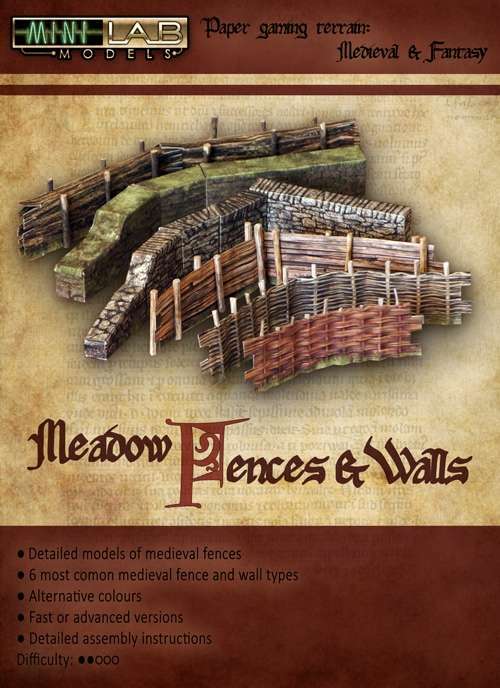 I hereby announce that Meadow Fences and Walls set is up for grabs at Wargame Vault. As I have a lot (a LOT actually) of test prints made during designing this set scattered around, you can expect some tutorial or inspirational posts with examples of what you can make of this set beyond of what the name implies.